Zo wrote: What's this? A thread full of blokes saying that tattoos hurt? You big bunch of bleedin WUSSES!!! heather mills got a tattoo on her leg she sed she never felt a thing! The most painful place to get tattoo is under the top of the arm – near arm pit, spine & inside the thigh. I haven’t got one on the inside of the thigh but if it hurts as much as under the arm then forget it. It’s not so much the tattooing that hurts it’s the bruising and the scabbing that hurts. On the shoulder is quite tender too – bleeds a lot. EMMO wrote: The most painful place to get tattoo is under the top of the arm – near arm pit. My mate just had one there. He said it didn't hurt any more than the one he had on the inside of his wrist - and he doesn't have much 'excess padding' on him for insulation. 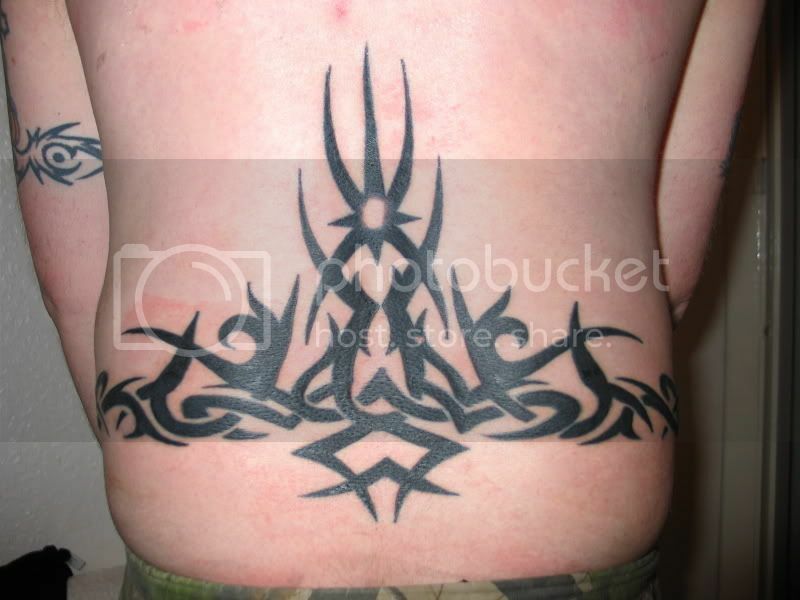 EMMO wrote: The most painful place to get tattoo is under the top of the arm – near arm pit, spine & inside the thigh. You're havin a giraffe, mate. I have tattoos covering the whole of my inside lower arm(including my wrist), whole of one of my shoulders, and all of my upper back (including the backs of both shoulders and across my spine). Oh, and one on my ankle too - over the bone, and also the soft bit underneath the bone. None of which were painful. There shouldn't be much swelling up - and NO bruising - if it's done well that is. My tattooist said that it’s a different feeling for everyone. For me its not the tattooing that hurts – its annoying – it’s the bruising and scabbing after that hurts more. i am like a peach !! EMMO wrote: My tattooist said that it’s a different feeling for everyone. It can't possibly be a 'different feeling' for everyone, cos everyone's skin works the same - and we're all having the same thing done to our skin. What CAN differ, however are people's pain thresholds. Can open - worms all over the place. if it was left to men the human race would come to an end. The human brain dosnt remember pain apparently! Not a Wildhearts tattoo (that's earlier in this thread) but my latest, just over 48 hrs old and all done freehand over 2 sessions. As for the pain element, having your flesh repeatedly punctured by needles is gonna nip a little, regardless of the location. The thing to remember is "Short is the pain, long is the ornament". But darling, I always loved you." Location: York.... Where the People go!!! ill post a pic of my sleeve when its done. its 3/4 done at moment and my tattooist is away for 3 weeks now. it iwll be completed in Mid March. Andy Santiago wrote: The thing to remember is "Short is the pain, long is the ornament". Very much depends where you insert the ornament I'd have thought...? ooohh... nice work there too! i was listening to them earlier! "ONLY THOSE THAT KNOW HOW TO ROCK KNOW WHEN TO ROLL!!!" Got myself a new tattoo yesterday. Trym (drummer from EMPEROR) did a good job on thisone. Im going to colour the heart red in 3 weeks time.